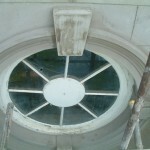 Instruction: Run new cornice pediment and spin window detail disecting with keystones, render and ashlar wall. 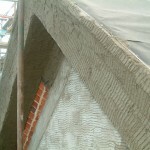 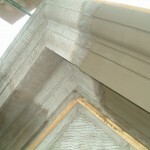 Material : Sand and cement. 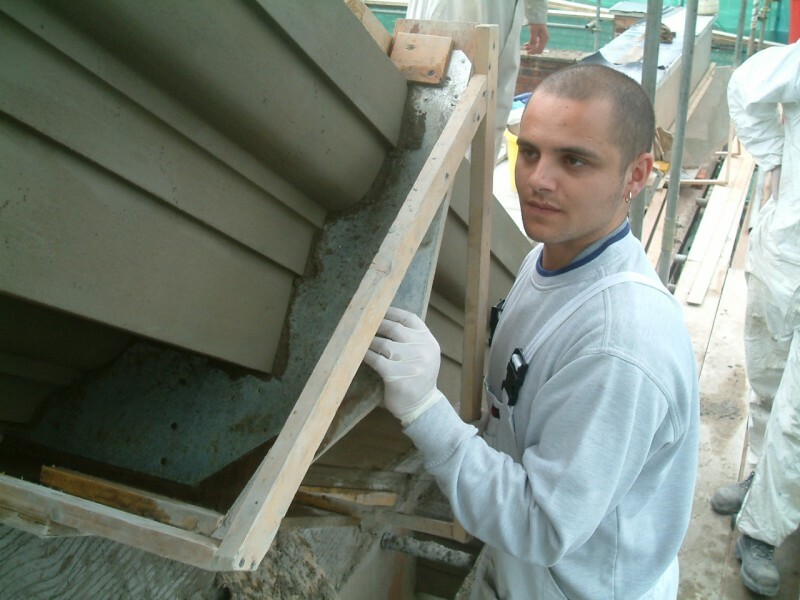 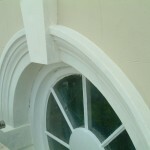 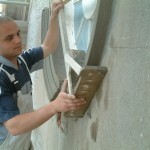 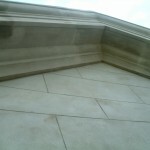 Our task was to hack off and re-install the cement cornice and render. 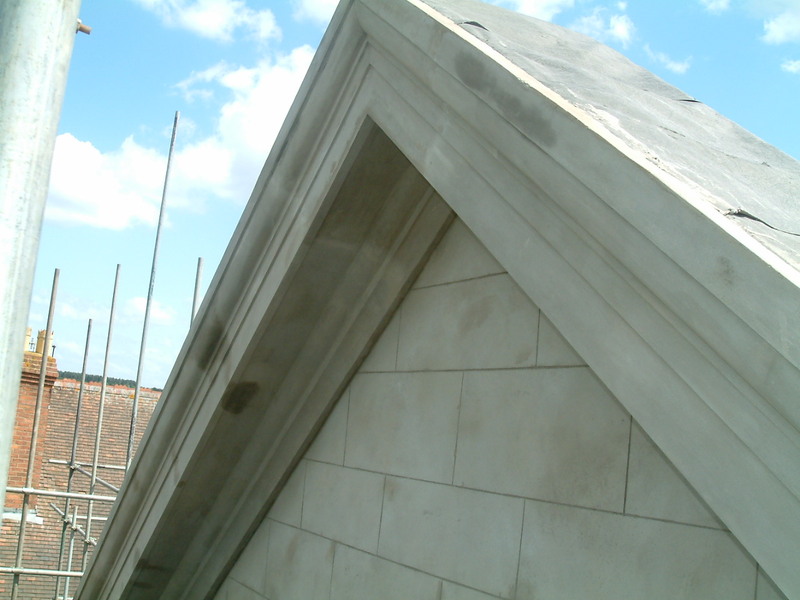 The cornice sailing out was formed using timber framework then covered with a membrane before getting stainless steel rib-lath. 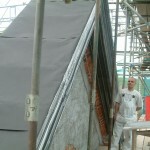 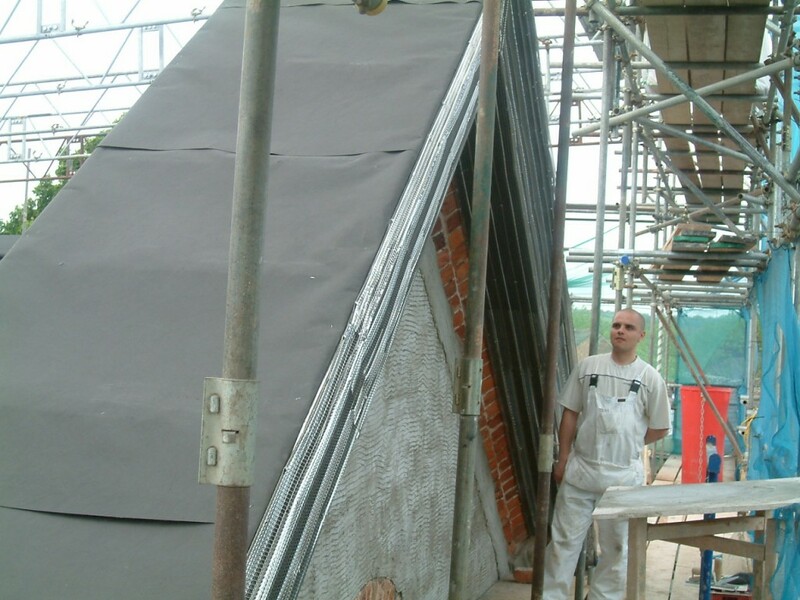 Once the rib-lath was fixed securely in place, we could then apply a scratch coat. 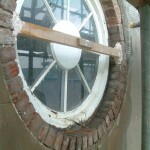 We then had to set up timber rules for the “running” of the mould. 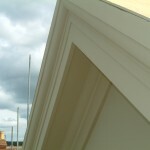 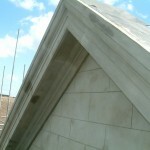 Once the cornice was ra, we then formed the mitres by hand using joint rules.